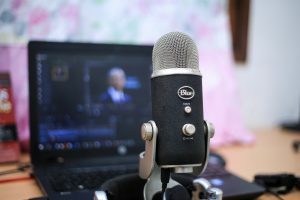 Before you choose to subscribe to the Hat Trick Letter, you can find out more about what you get, by reading Jim Willies pubclic articles or listening to some of the many interviews he participates in every month. massive jump in USGovt debt, massive US Corp Bond decline (fallen angels, debt zombies), and urgency to prevent massive USEconomic fallout, the USFed must adopt Infinite QE Forever. the turning by Saudi Arabia toward Russia in production and oil price policy, toward China in sales no longer in USD terms, with ARAMCO investment by R&C duo, complete with vast US seizures of the Saudi USTreasury Bonds. Primary topic was gradual establishment of Infinite QE Forever by the USFed, so as to cover a large portion of major US Corporate Bonds as they become fallen angels and debt zombies, while the USGovt debt monetization becomes standard policy. The central bank monetary policy to cover pan-US debt will signal to the global community that the King Dollar is on life support, comatose, and facing removal as the global currency reserve. Several key hot buttons in the blossoming global financial crisis which qualify as an armada of black swans unlike anything seen in several years amidst a magnificent departure from the normalcy bias. March 23rd 2019: Big hot areas which currently present significant risks. March 11th 2019: major factors are at work to push the Gold price up. QE Forever, Shanghai SGE gold market, new Basel gold rules. The last ten years have created the new global subprime bond — USTreasury Bonds. A perfect storm has developed with several dangerous sides. Numerous steps have begun, all in progress, where nothing can stop the procedure. The global rebellion against the King Dollar has created a Dual Universe. The East will drive the process, with many disruptive events assured. Expect Gold Trade Note introduction. Expect banking system failures, followed by monetization of the big banks. Expect discharge of USTBonds in banking reserves, in favor of purchased Gold bullion. Expect battles for global resources and derivative collapse. The United States must conform to the new reality in an honest legitimate manner, or else face the risk of isolation, perhaps even falling into the Third World. February 25th 2019: Gold fundamentals are seeing 3 major factors at work positively. A Gold price breakout is imminent, or else very soon. 1) QE is the internal factor, from a new QE FOREVER to be announced. It is urgently required to avoid a systemic breakdown. 2) SGE is the external factor, from the Shanghai Gold-RMB window. It assures the death of the LBMA gold market and the demise of the USDollar itself. 3) BIS is the systemic factor, from the Basel Plan kicking into gear. It calls for Gold counted as Tier-1 Asset in the banking reserves system. Many details surround each of the 3 major factors. The major central banks are all insolvent after serving as bond buyers of last resort. The Basel Plan calls for a much higher Gold price after significant acquisition by central banks, in order to restore them to health. The QE monetary policy for the last seven years has created a terrible reality: US TREASURY BONDS ARE THE GLOBAL SUBPRIME BOND. The Gold price is looking strong in short-term, intermediate term, and long-term. The Global Financial Crisis grows worse by the month, and it will blossom in a magnificent manner. Introductory topics include Global Financial Crisis redux which has begun to blossom, nothing having been resolved or fixed since 2008,whereby the USTreasury Bond has become the global subprime bond, but while the USDollar has lost its magic power as global safe haven, during the crisis which has hit both the sovereign bond sector and the corporate bond sector, threatening the entire Emerging Market debt which could be $8 or more trillion in size, at the same time rendering most banking systems as insolvent and most financial markets as rigged, during a powerful chronic economic recession primarily hitting the Western world. 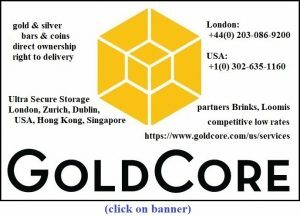 O’Byrne goes on to describe the Gold Core business of precious metals purchase and delivery, but with the much bigger side of the business being secure vault service in several global locations, after having made distinctions regarding various locations for their jurisdiction differences. The recording is within the public domain, as a public service Gadfly promotional segment. Article: "Top Ten Trends Lead to Gold"
January 14nd 2019: Ten major themes of year 2018 all continue as unresolved. Each feeds into the implementation and adoption of the GOLD STANDARD. The unfolding global financial crisis seeks a true solution. It will be gold. Even Wall Street compromised corrupted hack analysts will begin to talk about gold as a ultimate solution. Numerous platforms have been constructed and filled, all non-USDollar in basis. Nothing has been fixed or resolved since the Lehman failure ten years ago. In fact, all the same corrupt mortgage abuse with enormous errors have been heaped upon the entire global framework. The USTreasury Bond has become the global subprime bond, which begs the Gold solution.The US Bank Stock Index BKX signals the major financial crisis. The Systemic Lehman Event has begun, certain to blossom into something magnificent and historically unprecedented. All roads in 2019 lead to gold, which has numerous arteries at work. The Belt & Road Initiative is the largest peacetime project in modern history. In 2007 and 2008, the big alarm signals were the Fannie Mae stock 90% decline, and the Lehman Brothers CDSwap rate rise by 5-fold. In today’s age, the signals are many, like the USTreasury TNX bond yield over 3.0% and rising, like the USGovt borrowing costs exceeding the total tax income (!!! ), like the launch of the Petro-Yuan contract in Shanghai (the dagger in the Petro-Dollar heart), like the insanely broad major central bank financial market support (extended to stocks, corporate bonds, and crude oil), like the Emerging Market debt bust, with over $9 trillion on the line. But the focus here is on the Big US Bank Stock Index (BKX) breakdown, confirmed by the comedown in the crude oil price. The entire Wall Street banks are highly vulnerable to the oil price due to shale sector exposure. It signals the death of one or two major US banks. It signals the acceleration of the Systemic Lehman Event. The historical event will feature a global financial crisis an order of magnitude larger in scope than in 2008. It will feature sovereign bond defaults and entire national banking system collapses. THE GLOBAL POSTER BOY SUBPRIME BOND IS THE USTREASURY BOND. The safe haven this time around will not be bonds, but rather Gold. The fascist state has commandeered the monetary function and the financial sector. It has also turned the military function into a predatory machine. Despite their grip, Gold acts as the perfect antidote, administered from the Eastern hands. In fact, Gold will restore order and honesty within the global financial system. Many examples are given for the United States in its decayed state, being a champion of fascism in a grand obscenity of a sprawling fascist state. The Axis of Fascism can be depicted as the United States, the United Kingdom, and Israel. The TPX triumvirate is in charge of the Global Financial RESET process. Herein we have Trump Putin and Xi to assure that the Gold Standard is installed without global war. The Gold Standard will be rolled out in a long organized tactical efficient schedule. The process has begun, and is not stoppable. The USFed has caused every financial crisis since the 1980s. Both outsourcing of US industry and QE monetary policy assure more crises. The actual price inflation is over 8%, thus the lie on GDP is over 5%, and therefore the USEconomy is stuck in a 12-year recession. The debt engine is broken, since it takes $5 in new debt to create $1 in economic activity. Except the reality is that the new debt only reduces the impact of endless recession. The Global Financial RESET has already begun with Turkey clean-up and Deutsche Bank rescue. Numerous danger zones and hot spots have cropped up, each a major crisis area on the glorious road to the Gold Standard. It is the inevitable solution, surely to be adopted even by the Basel group of franchise central banks. This time around the entire globe is participating with national breakdowns in the crisis. Call it the Everything Bond Bubble or the Systemic Lehman Event. The Chinese are using very clever financial tactics which include a Debt-Trap Diplomacy game, using USTBonds for extended credit. The Chinese seem to be planning to use the RMB in a caretaker role, intended to move away from the King Dollar while moving toward the Gold Standard. September 2nd 2018: topics covered include the USDollar’s devastating effect on Emerging Market nations by usage of QE printing press weaponry, the lost USD global currency reserve within context of 80-year cycle in global upheaval, the impact of weaponized USD with negative blowback in workarounds, the illicit beneficiaries of USD printed money in USEconomy & Wall Street & USMilitary, the enhanced surge in Belt & Road Initiative projects in reply to US-led sanctions toward Eurasian Trade Zone development, the critical change zones in Saudi & Turkey & Iran (currency crisis sites) with upcoming introduction of Gold Trade Note for oil payments, the sustained Emerging Market debt with rollover funny money but inevitable upcoming failure of $8 trillion in USD-based debt, the ulterior Trump motives at work in facilitating the Global RESET, the next wave of Chinese banks receiving licenses for operations like Bank of China & ICBC. July 2018: Three requirements stand as critical in establishing the Gold Standard for the USDollar. They will be extremely difficult to implement and to satisfy. Several giant treasure troves of gold are coming to the fore. They can potentially alter the global financial setting in a significant way. Many hidden battles have been raging for years over their control, complete with murders. The new recent locations of currency crisis bring a greater urgency to the global financial situation. The locations are Venezuela, Turkey, Mexico, Argentina, Iran, and to some extent Russia. The solution is commonly trotted out as a Gold Standard for the currency. The Global Currency RESET has begun, with many sides, all in progress. The Global Financial RESET has already begun. Many are the faces of the reset, especially with non-USD platforms. Two key events lie on the imminent horizon which will release the Gold price. A trusted superior reliable source has indicated that two key events are imminent. The Jackass guesses the Deutsche Bank failure with Italian banking system collapse AND the Gold Trade Note introduction with Chinese RMB interchangeability. Expect the banking systems of Germany, France, and Italy all to enter a grand crisis. A list of potential key events is provided. A second list of key disruptive additional events is provided. The QE official monetary policy has been a grand failure, keeping the big banks afloat, but while killing the main tangible economies in the process. The proof lies in the multi-year decline in Money Velocity, amidst supposed stimulus. Meanwhile, a long list of non-USD platforms has been developed for amplified usage. China has led the non-USD procedures, with the Belt & Road Initiative its primary banner. The USDollar is to lose its global currency reserve status. It will lose its monopoly in global trade payments. Major bank structure changes are coming. Trade imbalances must be reduced by directive. Currency devaluation will be a regular adjustment device. An end to Unipolar geopolitics has already begun. The Gold Standard is arriving in slow gradual unstoppable steps. Gold reserves must be demonstrated by nations. The Dual Universe is becoming an obvious feature in global finance. The development of infra-structure will become a key emphasis. The end of the era of sanctions is near, fast losing their impact, even resulting in increased US isolation. The USGovt has used deeply criminal methods to keep allies in line. Multiple gold prices will soon be posted, the new normal. The trade war with China has roots going back at least to the 1990 decade. It has been financial in nature in the past, only recently in trade & commerce. Note the tungsten laced gold bars sent to Hong Kong banks. Note the Hong Kong independence with FDI investment promised to China. Note the US gold lease with China, reneged upon in 2005. Note the hidden unraveling of the Vatican lord. Note the Chinese property confiscations, seen in JPMorgan HQ. Note the Chinese dumping of Fannie Mae bonds, beginning in 2005. Note the quick consequence of the Lehman failure and subprime bond crisis. Note the Chinese dumping long-term USTreasurys. Note the construction of the vast array of non-USD platforms and channels. Note the death knell for the Petro-Dollar. Witness the gradual emergence of the Gold Standard, arising from the East. With mega-deals involving Russia & China, the Saudis have ceded control of the oil market. OPEC is dead, and the Russian Rosneft Oil Consortium will take over control. The Chinese have investment in diverse manner in the entire Arab world. They have displaced the US & UK & EU firms to some extent. The Chinese will win the right to purchase Saudi (and Arab) oil in RMB terms. The Petro-Dollar is seeing some important final stages toward its demise. The USDollar will no longer command a global currency reserve monopoly, or a monopoly in trade payments. Some US-based firms are finally getting the foot in the Belt & Road doorway. The fuse is the rising yield on long-term USTreasury Bonds. The bonfire is composed of paper assets, given false high valuations, in the stock and bond markets. The TNX target from the larger Head & Shoulders reversal pattern is between 3.4% and 4.0%. It has been a reliable pattern in the past. The sudden rise in bond yields will pinprick the US Stock market. The QE experiment will end in a new disaster. The upcoming crisis will feature a decline in stocks, bonds, and the USDollar currency, all three, which has not happened since 1986. To do Quantitative Tightening after six years of unsterilized bond monetization is insane. To add stocks and crude oil to the control room agenda, even to rig the market internal indexes like VIX, is doubly insane. The Jackass has been calling the upcoming crisis the Systemic Lehman Event. It has numerous warning signals, led by the TNX yield that is moving toward the 3.0% level. When it reaches 3.0%, the major alarm bells will go off. The unresolvable USGovt debt situation is dire. The expanding US trade gap is dire. The global USTreasury rejection is dire. Waging predatory wars on the USD credit card is dire. The unstoppable relentless Eurasian Trade Zone adoption of the Gold Standard is dire. The King Dollar and its long reign of terror is coming to a gradual phase-out end, which extreme risks raised. The year 2018 will see the global breakdown begin to occur in greater speed. The Jackass calls it the Systemic Lehman Event. The past year set the stage with important systemic cracks and alternatives being formed. After the 2008 financial crisis, nothing was put to remedy, not even solutions sought. All the financial sectors have been abused and corrupted with amplified funny money. The Eastern nations have united to form the Eurasian Trade Zone. Three old empires are uniting in China, Russia, Persia. The Western Economy is stuck in a deadly recession and amplified hyper monetary inflation. The USTreasury Bond will be the string that is pulled, surely to unravel the entire sweater. The USTBond decline will force a US Stock Market decline and a USDollar decline in unison. The crisis will lead to a global sense of foreboding, disorder, and growing panic. The safe haven will finally be in Gold & Silver, the precious metals. A list of forecast events is provided for the new year. Many have already begun, and most will enjoy recognized progress throughout the year. The United States will lose power and suffer the ignominy of isolation and exposed corruption. Silver is truly unique as a metal, thus making it a key strategic metal. Significant monetary abuse has occurred for seven years with QE unsterilized monetization of USGovt debt. The meters are broken, as the Money Velocity is down sharply from the financial stimulus and capital destruction within the tangible economy. Numerous fractures and rebellion have become the norm, as the community of nations works to avoid the King Dollar. The Shanghai RMB-Oil-Gold triangle contracts will lead traffic away from the Petro-Dollar. Next come the Gold Trade Note for trade payment method, to supplant the USTBill in the Eastern Hemisphere, and broadbased dumping of USTreasury Bonds with national banking systems, to make room for the RMB-based bonds and Gold bullion, starting with the German Bundesbank. The Gold Standard is coming into view, with sharply higher precious metals prices. The United States is a minor silver producer, having lost control of this market, operating with no stockpile. The USGovt has had no official silver sales for several years. The Silver Scrap supply has vanished within the silver market, the margin gone, an important indicator. Big revolutionary developments are coming to the energy sector. Refer to electric fields, its lone isotope, harmonic frequencies, super conductivity, and associated electricity production. Gold has no known isotopes, but silver has one, a lone isotope which makes it extremely valuable. The next generation of energy systems will feature silver at the core for its special characteristics. Refer to Silver is a unique metal, whose brothers on the periodic table column include gold and copper also, both unique in their own respect. January 7th 2018: A first show with the good pastor, which included a long introduction of the Jackass with background, then a free rein to hit on a great many diverse topics related to the unsound monetary system and its inevitable decay decline and demise, which will yield in favor of the Gold Standard, first to be seen in trade payment and finally seen in the banking system. December 30th 2017: primary theme is the new year coming and new risks and major disruptions. The topics begin with long interest rates with derivative risks and continued QE bond monetization with emphasis on the Treasury Yield Curve and liquidated derivatives for fresh fake Dollar demand. Another topic is the global de-Dollarization movement, the Belt & Road Initiative with its development completely outside the USDollar Sphere, the growing trend of trade in non-USD terms, the amplified development of the non-USD platforms (like AIIBank, CIPS transactions) and the pressures on the Arab oil monarchies to sell China oil in RMB terms. Special emphasis is given the Shanghai completed triangle for Oil-Gold-RMB and the undermine to the Petro-Dollar framework. The many platforms mean the end to the King Dollar as primary hegemony master. The Petro-Dollar has been given a death warrant, while the upcoming Gold Trade Note will serve as the dagger in the King Dollar’s heart. The completion of the Oil-RMB-Gold triangle in Shanghai futures contracts means critical mass finally. The Petro-Yuan is here. Check out the many platforms, which have gained significant volume and membership in recent months. They include the Asian Infra-Structure Investment Bank, the Cross-Border Interbank Payment System, the BRICS Gold Platform, and much more. The fall of the House of Saud has begun, an inevitable process. It is seen in confiscations, kills, deep debt, desperation, and exposure of war crimes. The USGovt is trying to avert a Saudi-China connection. The future protectors for the Saudi Royals are from the Eastern superpowers, and the future economic development will be from the Eurasian Trade Zone. The internal rivalry will turn to open palace battles with four families among the royals: the Fahd family as former king, the Abdullah family as former king, the Nayef family as former crown prince, the Salman family as stolen crown. The Saudi Kingdom has been primary foundation to the Petro-Dollar for over four decades. With the demise, decay, and dismantle of the Petro-Dollar comes the Saudi collapse. Despite contrary opinions, the Jackass forecast has been steady for its collapse. It will be violent, criminal, treacherous, contagious, and horrible. The Saudi Royals will become victims of their own version of Night of the Long Knives. A strange parallel exists. The MBS from mortgage backed securities wrought a global crisis in 2008. The new MBS as crown prince Mohammed bin Salman will bring a global crisis in 2018.